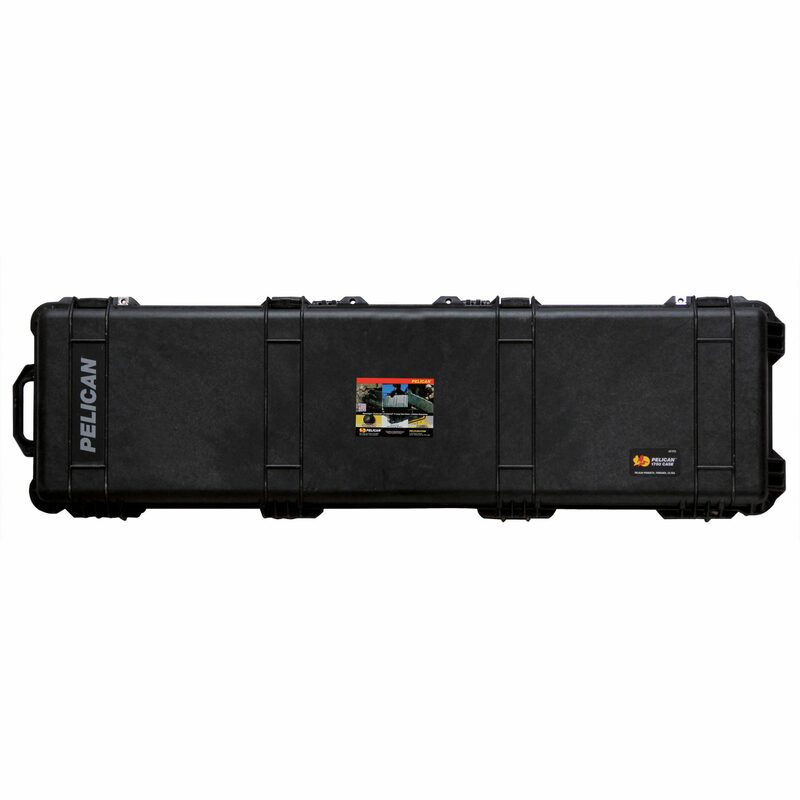 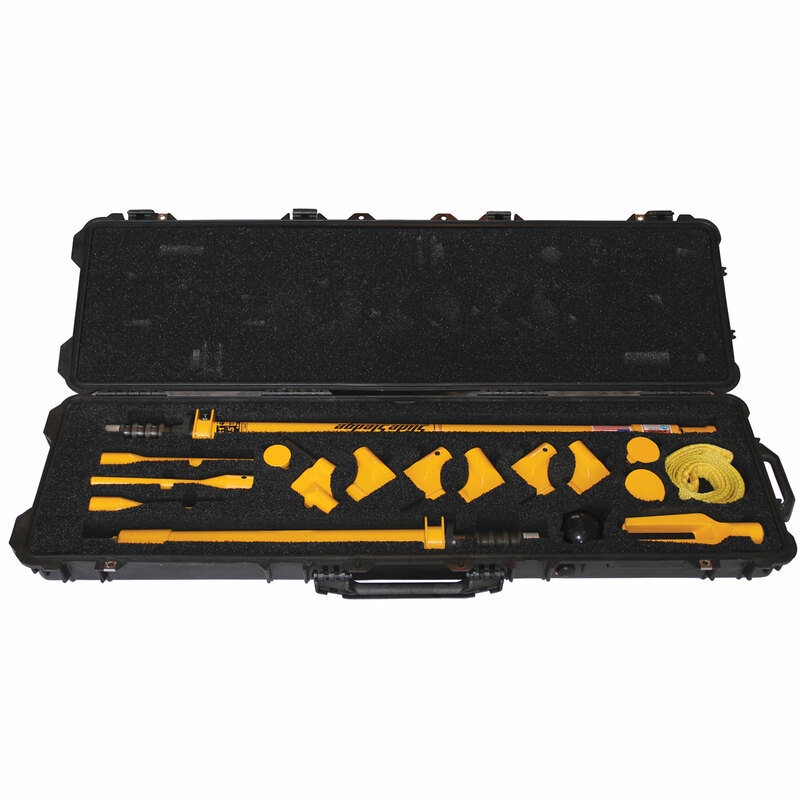 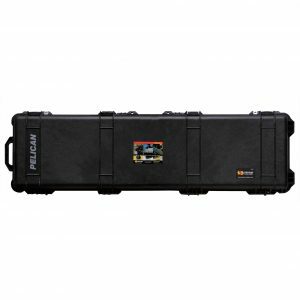 The Military Pin Driver Set comes in custom foam-cut, water-tight Pelican cases. 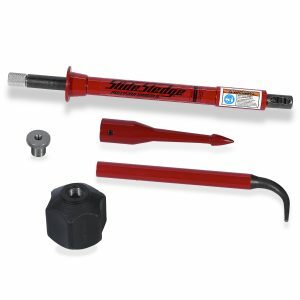 This set includes the 9 Pound and 21 Pound Multi-Head Hammers, our standard pin drivers, a handle weight, and a hammer sling. 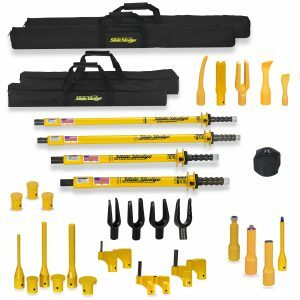 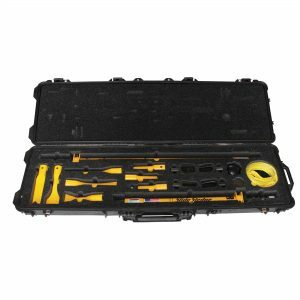 The set includes 1 EACH of the following part numbers: 9 Pound 30″ Multi-Head Hammer (hammer ONLY), 21 Pound 46″ Multi-Head Hammer (hammer ONLY), 1/2″ Pin Driver, 7/8″ Pin Driver, 1 1/4″ Pin Driver, 2″ Pin Driver, 2 1/2″ Pin Driver, 3″ Pin Driver, 3/4″ Bucket Tooth Inserter, 3/4″ Bucket Tooth Remover, 1/2″ Bucket Tooth Inserter, 1/2″ Bucket Tooth Remover, 3/8″ Bucket Tooth Inserter, 3/8″ Bucket Tooth Remover, Scarifier Tooth Tip, 5 Pound Handle Weight, and Support/Shoulder Strap.